Carol J. (Griggs) Roeske, 83, of Sparta, passed away Thursday, January 31, 2019 at Bridge Path Assisted Living, Sparta, surrounded by her family. 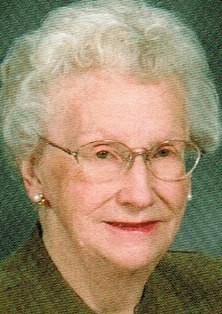 She was born April 15, 1935 to the late Claire and Grace (Kuckuck) Griggs in Tomah. Carol grew up in the Tomah area and graduated from Tomah High School. She married Arlan Roeske on October 27, 1956 at Gloria Dei Lutheran Church in Tomah. Arlan preceded her in death on April 30, 2011. Carol was a long time servant of Trinity Lutheran Church in Sparta. She was also active in 4H and the Sparta Lioness group. Carol enjoyed her flowers, baking, sewing, dancing, and making Christmas candies. She was very proud of her apron collection. Carol is survived by her two children, Michael (Betty) Roeske; and Kathryn Baumbach; three grandchildren, Daniel (Susan) Roeske; Brandon (Emily) Baumbach and their children, Emma, Evie, Alexis, and Beau; Amy (Kelly) Anderson and their son, Nolan Anderson. She is further survived by her sister, Beverly Drew and many nieces and nephews. She was preceded in death by her husband, Arlan; parents, Claire and Grace; siblings, Harold, Ruth, Lyle, Elva, and Claire Jr.
A memorial service will be held at 1 p.m. on Tuesday, February 5, at Trinity Lutheran Church, Sparta, with Reverend Mark Kvale officiating. Burial will follow in Mt. Hope Cemetery, Sparta. 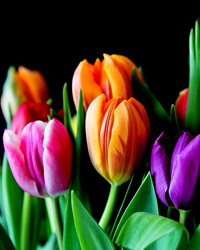 In lieu of flowers, memorials may be directed to Sparta Area Cancer Support (SACS) and/or Trinity Lutheran Church, Sparta. The family wishes to extend a special thank you to the Morrow Home Community for the wonderful care provided to Carol. The Lanham-Schanhfoer Funeral Home, Sparta, is assisting the family with arrangements.